Yes, it is true. I am a bit on the cray cray side! I love to laugh, poke fun at people, and tell really bad jokes. Of course, my humor is a redeeming quality! And I never shy away from making fun of myself. I can’t take life too seriously, man! I found these pictures hiding out on my iPhone and decided that a new layout was needed in my All About Me album. 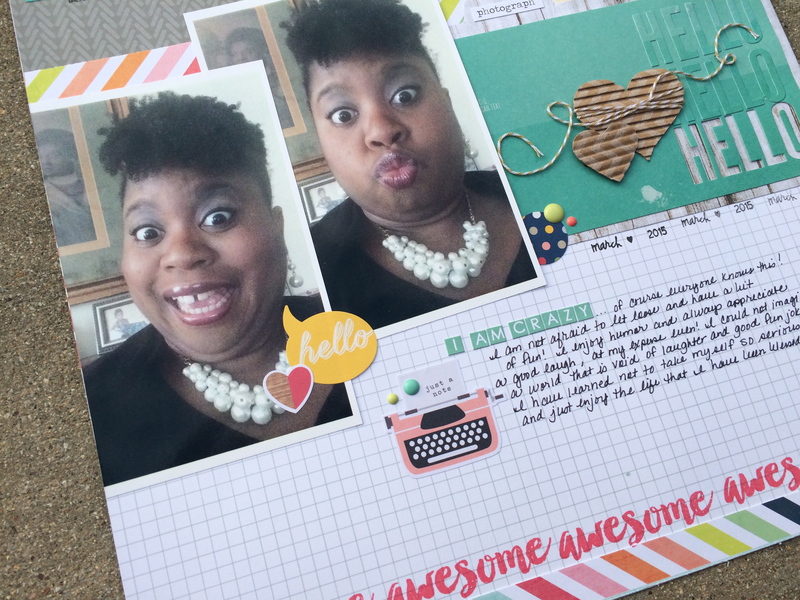 If you haven’t done so, I encourage you to start a scrapbook album that features YOU…and only YOU! Just think…who else is going to tell the story of you? All too often scrapbookers hide behind the lens of a camera, too busy capturing little Jimmy’s first poo or Grandma’s hilarious twerking attempts (I have seriously seen this on Facebook or something…hysterical)! Every now and then we need to snap a few pics of ourselves and talk about how awesome we are! We need to fully recognize that our stories are so important to the fabric of our being. Personally, I love to see how I’ve evolved over the years…a lot smarter, a bit more pudgy, but comfortable in my own skin. 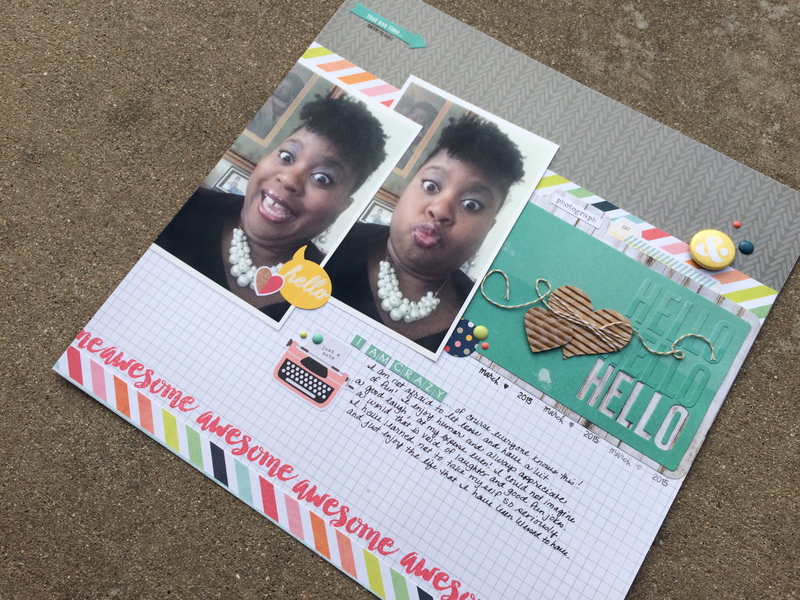 For this layout I used scrappy goodies from the April 2015 I Lived kit from Scraptastic Kit Club. To be honest, I didn’t really like this kit. I am not sure what it was…the colors, the style…not sure. But I decided to give it go anyway, so here it is! Overall, I think this turned out great. 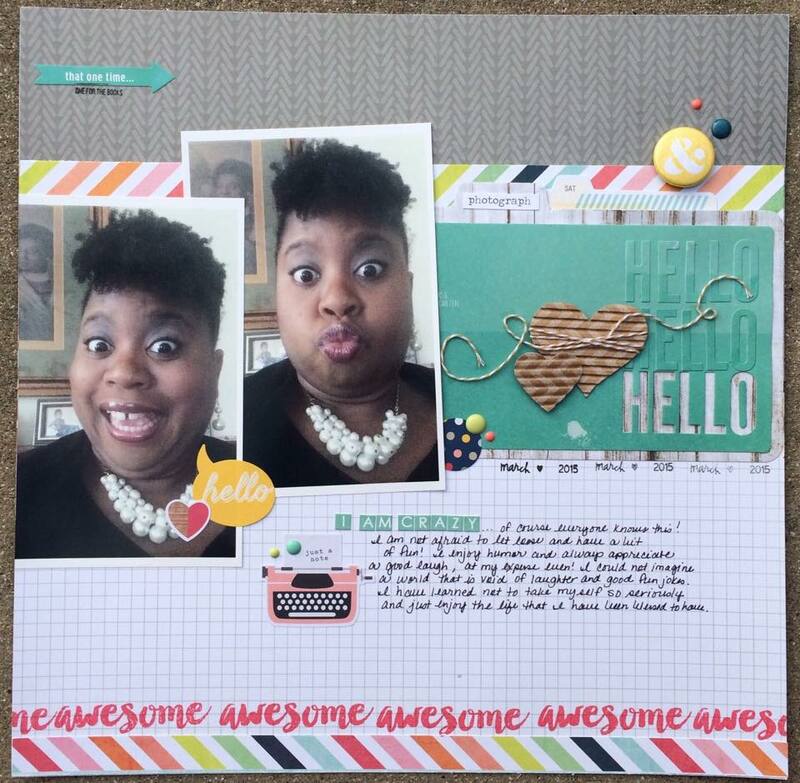 This layout certainly demonstrates how cray cray I am! 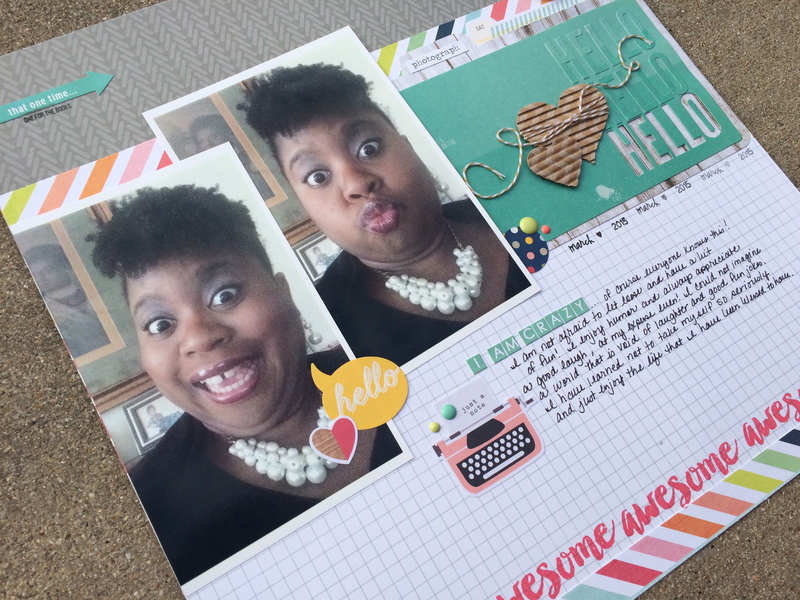 So, get out those selfies and tell your story…and have fun in the process! Here’s my latest YouTube video featuring this layout. Enjoy! Until next time scrappers…have a wonderful scrappy day! Did you know that Creative Memories was back? Loved this and it was a fun video!! LOL! Thanks! I’m a nut!